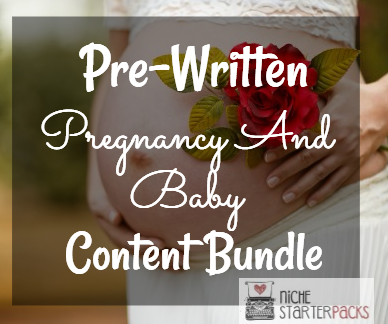 In this Pre-Written Pregnancy And Baby Content bundle. – articles, a report compiled of the articles, you’ll be able to teach your audience on a variety of different topics about what to do when your mate is pregnant and having a baby. When someone is pregnant they will have a hard time on how to handle pregnancy. And these articles will help you answer those questions you are seeking. The Pregnancy and Baby Content Bundle will help you bring in a traffic and readers to your blog because you’ll be talking about topics that people are searching for – how to handle pregnancy and the baby. Handling pregnancy and the baby is no easy task to do. This is where you’ll come in with the topics that will answer the questions that they have. They need a site that will talk about a variety of topics – so that they can figure out what is best for them, how to handle pregnancy. 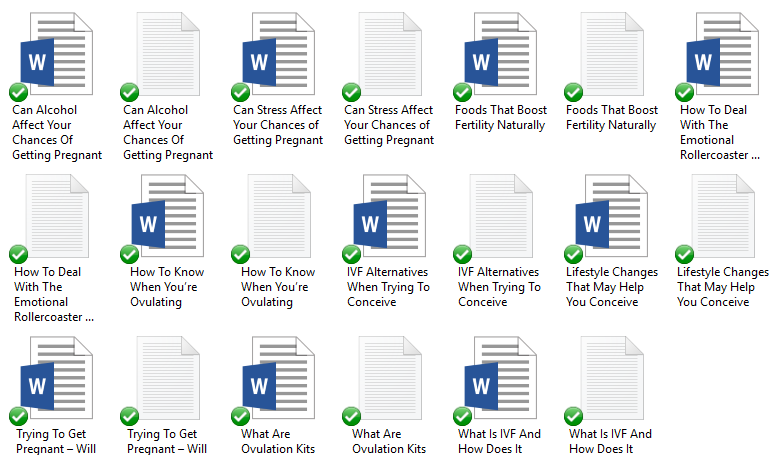 The Pre-Written Pregnancy and Baby Report & Article Content will help you teach your audience about important topics whether they are in the beginning stages of pregnancy and how to handle it. 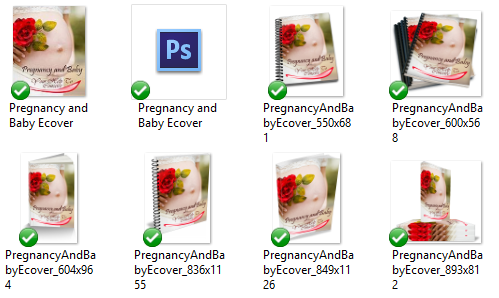 Pre-Written Pregnancy And Baby Content Bundle (Report, Articles, Royalty Free Images, Keywords) – Get It All For $27! You’ll get a 19-Page report on ways to handle Pregnancy and Baby. This report is going to help you grow your subscriber list. Can stress affect your chances of getting pregnant? Can alcohol affect your chances of getting pregnant? What are ovulation kits and how do they work? Trying to get pregnant – will exercise help? 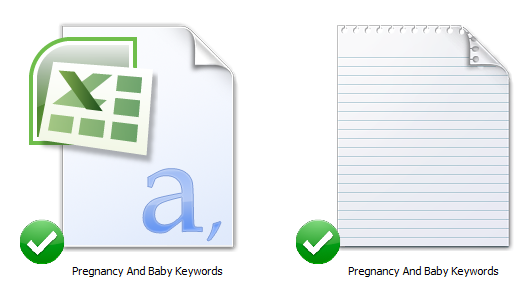 I’ve come up with 200 long tail keywords all related to pregnancy and baby. You’ll find some of these are what people like to call low-hanging fruit keywords while others have more searches.